If you practice Yoga everyday with perseverance, you will be able to face the turmoil of life with steadiness and maturity. Our modern day, fast paced, hectic lifestyles throw up a number of challenges and coping with them is stressful, to say the least. Each time a compelling situation crops up, we have no choice but to confront it. In such a scenario, it helps to stay calm, go within, introspect, meditate and maintain a positive attitude. All this is a definite possibility with the practice of yoga. And, a surety at Divine Tree – The Yoga Shala. For, it is not just about boosting your stamina levels, losing weight or becoming physically fit. It is also an experience on the mental, emotional and spiritual levels. Deep down, we are all spiritual beings, but this is often overshadowed by the frantic lives we lead. 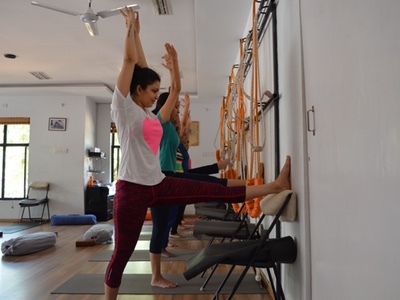 However, just an hour of “me time” at Divine Tree – The Yoga Shala, where you connect with the innate you, helps to cope amazingly well, no matter what issues life throws at us, no matter how mountainous the challenge may seem. This is not something which can be summed up in mere words, but one which needs to be experienced on an individual level. Just an hour on the mat helps; to disconnect from the chaos, clutter of the outside world and to connect to the divinity within. So come, experience this unique feeling at Divine Tree – The Yoga Shala. 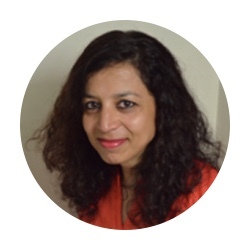 - Certified at 200-hour level by Sharmilas Yoga Zone, Hyderabad. I love Yoga, I love practicing it, talking about it and teaching it. And I’m ever so grateful to be able to share this knowledge with my students. 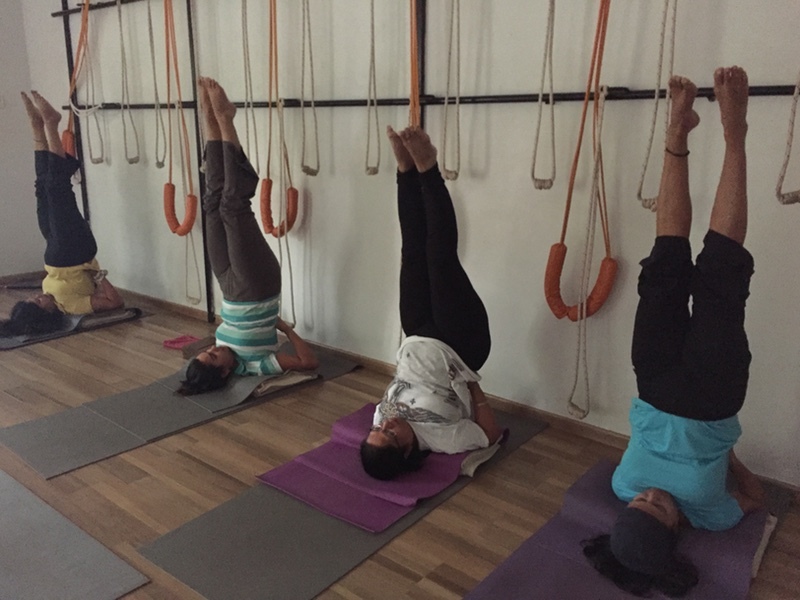 I’ve studied and practiced several traditions of yoga including Iyengar and Ashtanga and as a result my classes give a lot of attention to postural alignment combined with the fluidity of body and breath. Each class challenges the students to leave their comfort zones and learn the poses in a progressive manner, step by step. 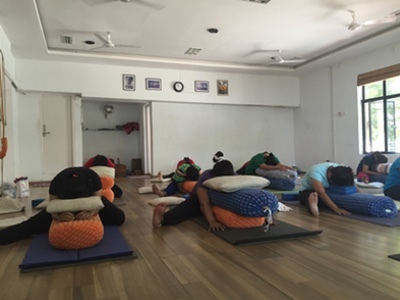 The compassionate approach encourages them to flow through different postures into a space of stillness and ease. However, we do create an environment where they can check in and choose to back off and just be themselves. My practice of yoga extends way beyond the mat and into the world of relationships with myself, family, friends, food and onto the environment. I am a mother of 2 boys and as we all know parenting can be so demanding at all times. Yet, my practice has equipped me with the skills of staying in the present, navigating through the uncomfortable or the unknown, being willing to get back up even after failure and showing up no matter what. Yoga for me is an addiction, which I have no intention of giving up. And my belief - “If I can do it, you can do it too! "